Save money by booking a Bonao vacation package. Just pick your favorite options and Expedia will do the rest. Smart vacationers who secure a package deal on Expedia can save up to C$590*. Within a matter of minutes, you can organize everything you'll need for your next adventure with our comprehensive database. And — with more than 400 partner airlines and 321,000 properties from all around the world, you'll have the flexibility to mix and match! You don't have to worry about postponing your group's vacation plans, as we don't charge additional cancellation fees for almost all of our hotel bookings. Itinerary need filling up? Bonao vacation all arranged but don't know what's on the cards when you reach there? Let us make it easy for you. Find a good vantage point and watch the day's activities pass you by at Plaza de la Cultura. If you're feeling sociable, this public space is also a fantastic spot to chat with fellow travelers and locals. Adventurers in this destination are spoilt for choice. If you'd like to find a little spiritual enlightenment on your travels, pay a visit to Church of San Antonio de Padua. Who knows, you might even glimpse the answers to a couple of life's most puzzling questions! Still got time on your hands? Cast your gaze over the exhibits at Candido Bido Art Gallery and Museum. If something catches your eye, have a chat with the attendant and learn about the person behind it. As there aren't any Bonao properties listed with Expedia, a good alternative is to stay in Jarabacoa, which is about 20 miles (32 km) away. 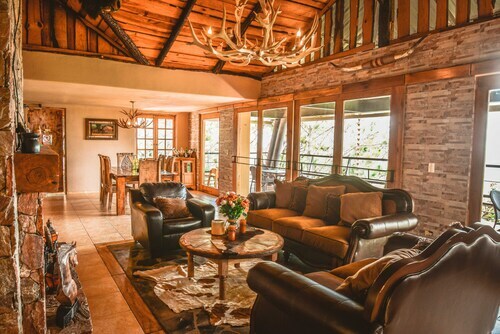 The nicest options in Jarabacoa are the Rancho Baiguate, Jarabacoa River Club, Hotel Gran Jimenoa, Hotel Rancho Olivier, Los Bohios Campo añil and Rancho La Aurora. Las Americas International Airport (SDQ) can be found 60 miles (97 km) southeast of downtown Bonao. Grab your bags, slide into a taxi and let your well-deserved getaway begin! Situated in Bonao, this hotel is within 6 mi (10 km) of Candido Bido Art Gallery and Museum, Duarte Park, and Church of San Antonio de Padua. Plaza de la Cultura and Saltos de Jima are also within 12 mi (20 km). Situated on a lake, this vacation home is within 2 mi (3 km) of Duarte Park, Church of San Antonio de Padua, and Plaza de la Cultura. Candido Bido Art Gallery and Museum is 1.3 mi (2.1 km) away. 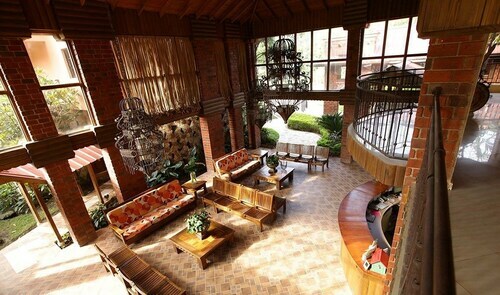 This family-friendly Jarabacoa hotel is located on a river, within 3 mi (5 km) of Central Park and Malecón de Jarabacoa. Salto Baiguate Waterfall and Jarabacoa Golf Club are also within 6 mi (10 km). This family-friendly Jarabacoa hotel is located near the airport, within 3 mi (5 km) of Saint Mary of the Gospel Monastery and Central Park. Malecón de Jarabacoa and Salto Baiguate Waterfall are also within 6 mi (10 km). 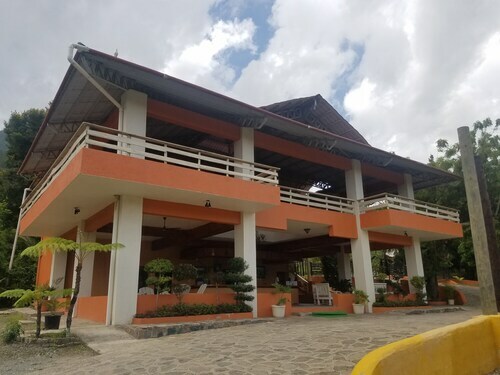 Situated in the mountains, this hotel is 2.9 mi (4.6 km) from Central Park and within 6 mi (10 km) of Malecón de Jarabacoa and Salto Baiguate Waterfall. Jarabacoa Golf Club and Saint Mary of the Gospel Monastery are also within 9 mi (15 km). 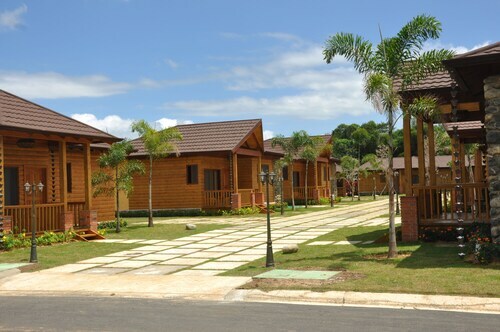 Situated in La Vega, this hotel is 14.1 mi (22.7 km) from Jarabacoa Golf Club. Situated in Constanza, this hotel is 1.4 mi (2.3 km) from La Nena Hill and 2.1 mi (3.3 km) from Anacaona Park. Aguas Blancas Waterfall is 11.4 mi (18.4 km) away. 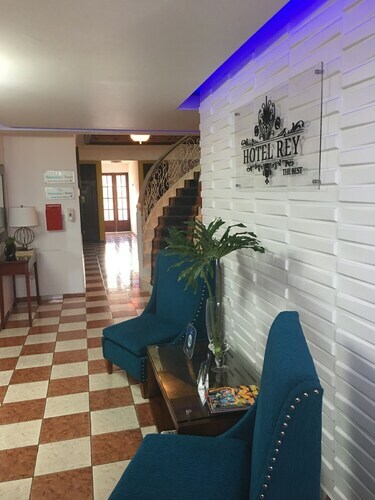 Located in Jarabacoa, this family-friendly hotel is 1.3 mi (2 km) from Central Park, and within 6 mi (10 km) of Malecón de Jarabacoa and Salto Baiguate Waterfall. Salto Jimenoa Dos and Jarabacoa Golf Club are also within 6 mi (10 km). Mon., 3 Jun. - Tue., 18 Jun.